What Are the Different Types of Woven Rugs? Woven rugs are valued for both their beauty and their durability. Woven rugs are prized for their durability and beauty. There are many types, depending on material, shape, and origin. Well made woven rugs can last generations. They are highly collectible, and many are quite expensive. The most basic difference between woven rugs is whether the rug is handmade or machine made. 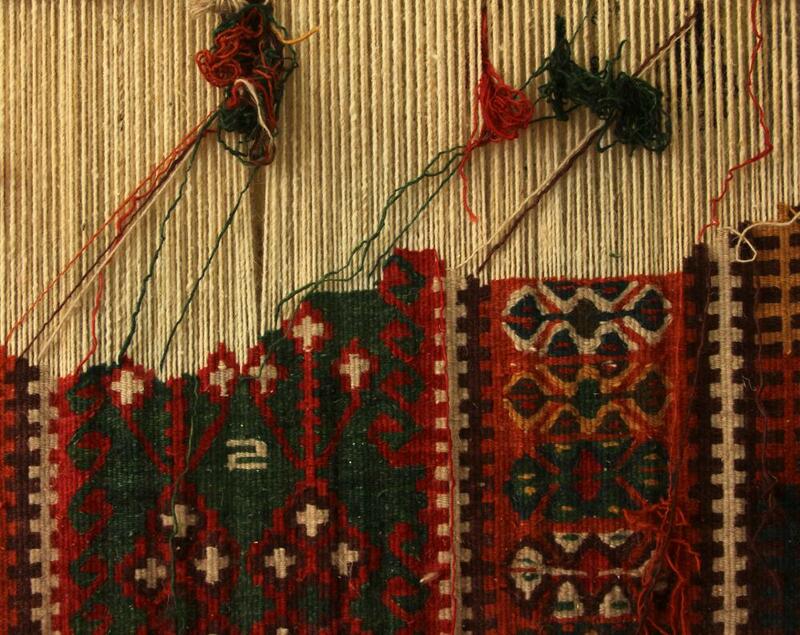 Often, the fringe on machine made rugs is sewed or glued on, while a handmade rug's fringe is part of the weave itself. A machine made rug will probably have perfect dimensions, but a handmade rug normally shows some flaws and inconsistencies. Nevertheless, handmade rugs have traditionally been more highly valued than machine made rugs. Typically, woven rugs are made of natural materials like wool, silk, and grasses. Of course, it is possible for woven rugs to be made of synthetic fibers, and this is the case for many machine made rugs. Wool is the most durable natural material, so it is often used for rugs that will be placed in high traffic areas. A handmade woven rug is unique. A number of rugs may have characterisitics reflecting the craftsman's cultural origin and training, but each rug is one of a kind. Woven rugs fall into two categories: flat weave or knotted. Non-woven rugs can be tufted, hooked or braided. 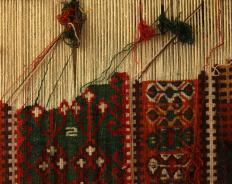 Both flat weave and knotted rugs are produced on a loom and require a skilled craftsman many hours to complete. Neither technique requires glue or a backing to secure the fibers. Both styles are indigenous to the Middle East. The flat weave is created by interlacing fibers through supporting cords to create a pattern. Typically, the design is minimalist and uses geometric shapes. It is also reversible, as the design is mirrored on the back side of the rug. The value of these rugs can be quite high, especially with certain rare designs, but typically, they are not as highly prized as knotted rugs. Known as Oriental or Persian rugs, knotted rugs are usually very expensive and highly collectible handmade rugs. The pile of the rug is created by looping and knotting individual pieces of fiber through the supporting cords on the loom. Very intricate designs can be achieved with this technique, adding individuality and value to the rugs. Since knotted rugs can last for many years, their value is linked to both their age and their beauty. A rug which is only 10 or 20 years old is thought of as "new" by textile experts. Like many antiques, a well made rug appreciates as it ages. Some handmade woven rugs have sold for millions of dollars. How Do I Choose the Best Rug Backing? What Is a Bidjar Rug? What Are the Best Tips for Rug Weavers? What Are the Different Types of Hand Knotted Rugs? What Are the Different Types of Handmade Rugs? How Do I Choose the Best Contemporary Rugs?